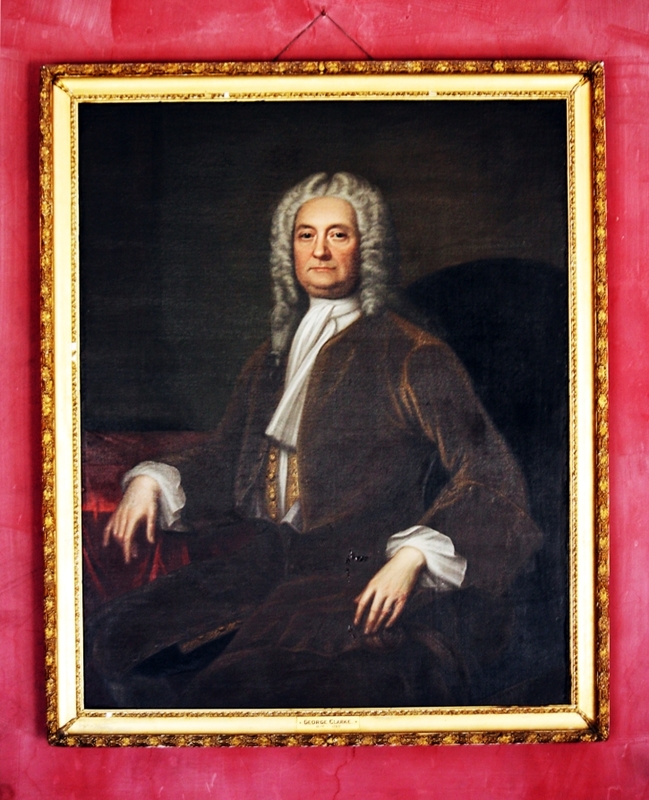 Governor George Clarke returned to England in 1748, remodeled Hyde Hall, his family seat in Cheshire, and died there on January 12, 1760. He commissioned this portrait about 1750. It remained in England until it was sent to the American Hyde Hall in the 1880s.